Bamboo urinal: a self-contained and somewhat mobile, eco-friendly public urinal. 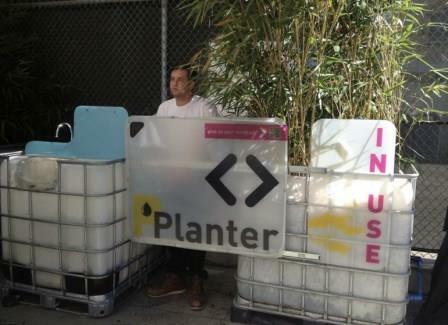 The unit has three main components; planter module (with the growing bamboo); the water tank; and, the urinal and sink. One pees in the urinal (women can use a disposable funnel to achieve this). Once done, a foot pump draws water from the water tank for hand washing and urinal rinsing. The used water is pumped into the planter module/biofilter, where the bamboo is growing in a medium of rocks, wood chips and styrofoam. The water, nitrogen and phosphorous are used by the bamboo, while bacteria living in the growing medium break down carbohydrates and protein. There is reportedly little if any smell. A prototype was tested in a San Francisco neighbourhood and stood up to use by over 300 people within an 8 hour period, says Gizmag. 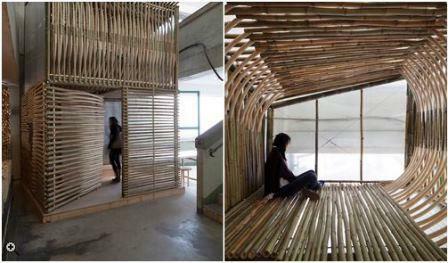 Bamboo shelters inside abandoned factory buildings is one solution for the housing shortage in Hong Kong offered by architects from AFFECT T. These are positively spacious compared to other barely-affordable options for Hong Kong’s poor workers. More for bamboo sticks, these ones more high-tech: Bamboo ski poles and bamboo skis. As a resident of the wet tropics, I rarely get to see snow, let alone play in it. You will find a review of new bamboo skis here. They look gorgeous. Mobile art? Some of them are available on Amazon . Alternatively, there are some very interesting looking vintage bamboo skis and ski poles on eBay au . 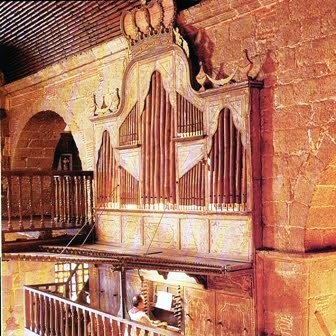 This entry was posted in All, Bamboo around the world, Bamboo on the Internet and tagged architecture, bamboo, bamboo organ, bamboo skis, bamboo urinal, China, Hong Kong, Las Pinas, low-cost housing, Phillipines, ski poles, snow skis on 30/03/2014 by Deb.